Traumatic lower leg and ankle injury. 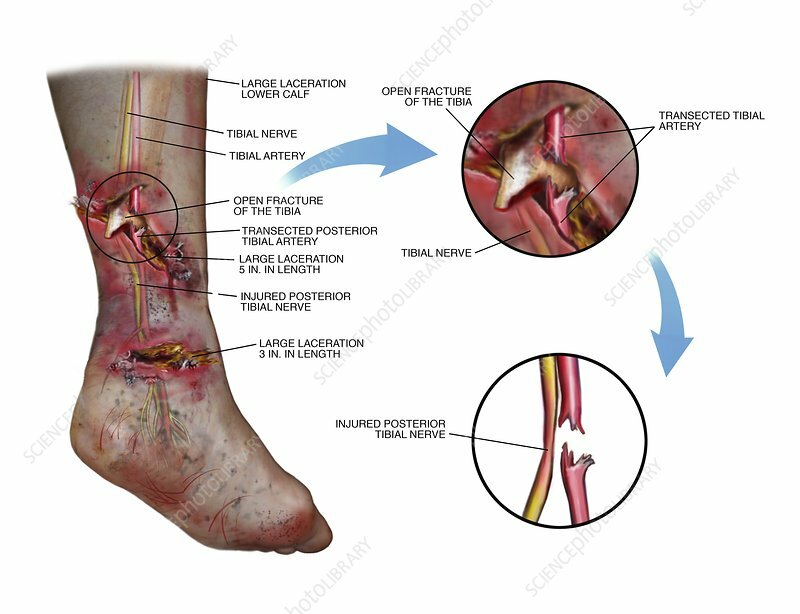 Artworks illustrating a posteromedial view of a traumatic injury to a patient's left leg. At left, an open fracture of the tibia has caused bone to protrude through the skin. Large lacerations have damaged the tibial artery (detail in inset at upper right) and the posterior tibial nerve (detail in inset at lower right).